How many times have you been told (or told someone) “it’s what’s inside that counts”? When it comes to quilts, you just can’t have a quilt without batting, and we are thrilled to announce that Fat Quarter Shop now has that covered for you! Our brand new EXCLUSIVE line of batting is Happy Cloud, and that’s exactly what it feels like! Treat your quilt sandwiches right, without breaking the bank, with Happy Cloud batting. Happy to introduce Happy Cloud batting, in 5 types! The first thing you might notice is that each Happy Cloud package has a different color. This cute color code denotes our different types of batting material. We have five types of batting, including: 80/20 Silky Blend; Cotton Simply Natural; 50/50 Cotton Blend; Wool Warm & Plush and 50/50 Bamboo Blend. That was a huge mouthful, so let’s break them down! The 80/20 Silky Blend is 80% Natural Cotton and 20% Superior Polyester. This is one of my favorite batting types because it’s super soft and very comfortable. It comes in these seven size options: a 12-pack of 14″ squares, Craft, Crib, Twin, Throw, Queen and King. 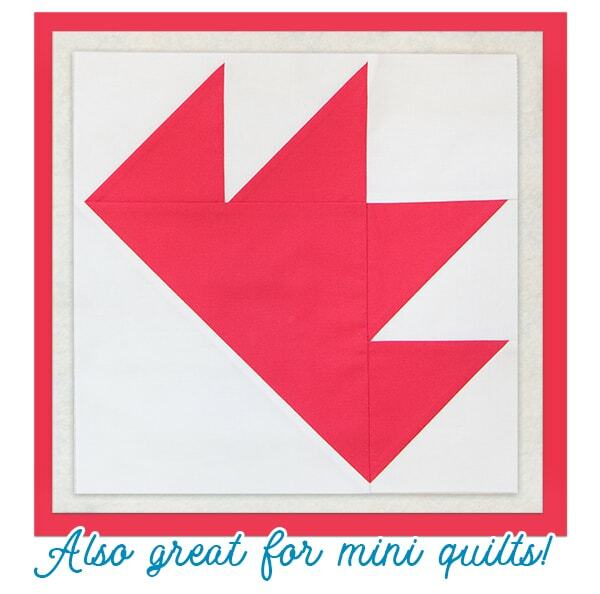 The 14″ squares are great for practicing longarm quilting on your sewing machine, but most of all we love them for mini quilts! The Wool Warm & Plush is 100% Premium Wool and comes in these six size options: Craft, Crib, Twin, Throw, Queen and King. Like the name suggests, warmth is the main feature of this wool batting. One thing to note is that wool is a natural material, and it will come with some of the natural inconsistencies and coloring you can expect from a natural fiber. The 50/50 Bamboo Blend is a sweet combination of 50% Select Bamboo and 50% Natural Cotton. Bamboo is a very breathable, lightweight fiber and a great choice for summertime quilts and throws. This type of batting is available in these six size options: Craft, Crib, Twin, Throw, Queen and King. 50/50 Cotton Blend is of 50% Natural Cotton and 50% Superior Polyester. This batting is very quilter-friendly because it’s strong and can withstand a lot of handling, yet soft to the touch. It is also available in these six size options: Craft, Crib, Twin, Throw, Queen and King. Cotton Simply Natural is 100% Natural Cotton batting. This is a terrific choice for bed quilts, and once washed it will shrink slightly to give your quilt a vintage-worn look and feel. If you love the crinkly texture of a washed quilt, this is for you! This type is offered in these six size options: Craft, Crib, Twin, Throw, Queen and King. Be one of the first to try out Happy Cloud! We can’t wait to see your happy little quilt sandwiches! Share your Happy Cloud projects with us online with #HAPPYCLOUDBATTING. Head over to Fat Quarter Shop to choose the Happy Cloud Batting that floats your boat. What type do you prefer, and why? Does it come on bolts for longarm quilters? Hi Sue, it does not currently come on bolts, but anything is possible! Let us know what you think of the batting, we never say never. Where is this new batting made? Will you be offering a sample pack to purchase with a small piece of each type to see in person? What is the loft on the Simply Natural Cotton? Hi, I am wondering if there is a scrim on these battings, especially the 100% cotton batting.